Can Chiropractors Help With Nerve Pain? Chiropractors are experts when it comes to adjusting the spine and vertebral joints. Therefore, while aligning the spine and body, chiropractors can assist in treating nerves that are restricted. When it comes to chronic Nerve Pain, chiropractors have treatments such as ice therapy, TENS, and Ultrasound to help relieve pain. If you have ever suffered from Nerve Pain, you understand how miserable it can be. And you're not alone. Over 20 million people in the United States deal with some type of peripheral nerve pain. Your nervous system is involved in just about everything you do, so it is no surprise how painful nerve pain (also called neuropathic pain) can be. It can also be quite chronic. This means that there can be a wide range of symptoms to look for. Sensory Nerves: Sensory nerves relay information from your muscles and skin back to your spinal cord and brain. Depending on what type of nerve pain you are experiencing, there are various symptoms that you may encounter. As you can see, there are many, many symptoms associated with nerve pain. Trust us, you do not want to fall down the rabbit hole of taking note of a few of your symptoms, self-diagnosing yourself, and coming to the conclusion that always seems to be a worst case scenario. That is why it is always recommended to visit a medical professional when you start experiencing symptoms. If you think you have nerve pain and check off some of the symptoms, you may start wondering what causes nerve pain. Let's take a look at what some of the causes of nerve pain are. 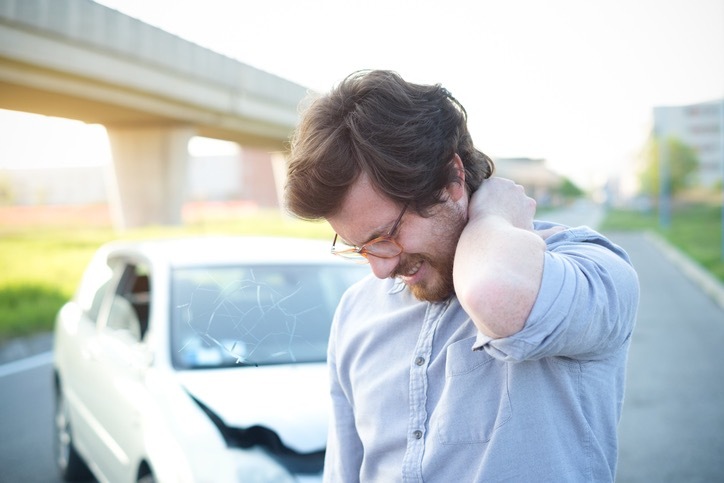 Physical Injury or trauma: These can include sports injuries, car accidents, slip and falls, and more. If your nerve is severed or crushed in physical trauma, it is going to end up resulting in nerve pain. Even a broken or dislocated bone can cause excess strain on nerves. Diabetes: High levels of glucose in the blood can cause nerve pain symptoms such as tingling, numbness, weakness, burning feet, and more. Vitamin or Nutritional Imbalances: The most common include excess vitamin B6 and a lack of vitamin B12. HIV: Up to 1/3 of individuals with HIV often experience nerve pain. Blood and Vascular Problems: Decreased oxygen supply in the blood can leave to nerve pain. Also, smoking and the narrowing of arteries from high blood pressure can lead to nerve pain. There is certainly a variety of situations, illnesses, and health issues that can lead to symptoms of nerve pain. 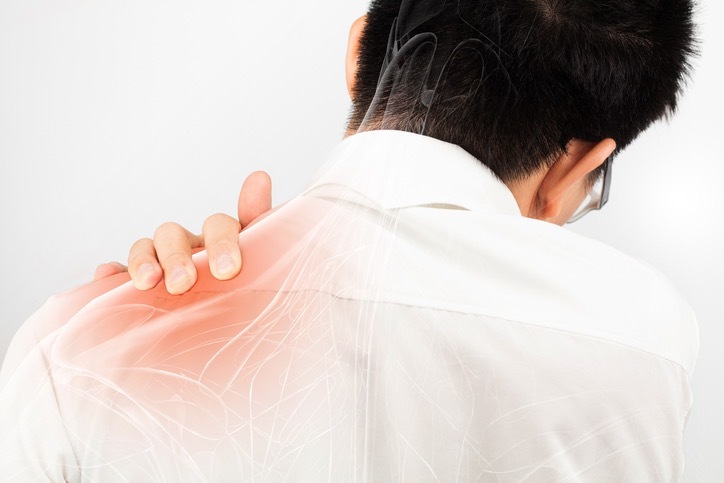 So how does Chiropractic Care help with Nerve Pain? Before we dive into nerve pain treatment, let's discuss precisely what chiropractic care is. Chiropractic care is a type of healthcare that focuses on the spine and joints of the body and how they relate to the nervous system. Technically, the term "chiropractic" means "done by hand." Chiropractors closely examine how problems with the musculoskeletal system, spine, and nervous system could lead to general health issues. For instance, chiropractors tend to look at a pain symptom and then follow it "upstream" or "downstream." Meaning, if you are suffering pain in your knee, your chiropractor will look "upstream" to your quads and hips. There is a very good chance that the real issue is in your quad muscles or hip, which is leading to pain in your knee. Of course, this is not always the case. However, chiropractors are extremely skilled in understanding the inner workings of the body and how everything connects. Treatment methods utilized by chiropractors are always safe and natural. Typically, treatment options are done by hand and involve manipulation of the spine. The goal of chiropractic care is to essentially realign the body and help it work properly. Chiropractors firmly believe the body is a self-healing organism, and chiropractic care naturally helps it on its way to smooth and efficient functioning. As mentioned, chiropractors work with the musculoskeletal system, spine, and nervous system. One of the most common nerve pains that chiropractors treat is Sciatica. 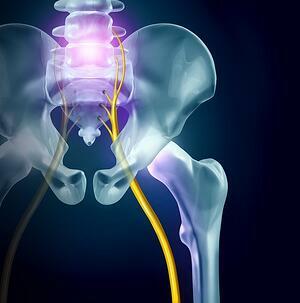 Sciatica is a pain that travels down the sciatic nerve from the lower back, down the buttock, into one or both legs. This type of pain is caused by nerve compression. While there are always underlying issues with nerve pain (such as a herniated disc or lumbar spine subluxations in the case of sciatica), Chiropractors are able to help alleviate the pain. Ultrasound: Ultrasound is a heat created by sound waves that gently massages soft-tissues. This increases circulation and is effective at eliminating muscle spasms, pain, stiffness, and cramping. TENS: TENS stands for transcutaneous electrical nerve stimulation. Essentially, the TENS unit sends variable intensities of electrical stimulation to control and minimize pain and muscle cramping. While these three chiropractic treatments are excellent at minimizing pain symptoms, the heart and soul of chiropractic care is always adjustments. During a chiropractic adjustment, your chiropractor is realigning your spine and vertebral joints to ensure proper functioning. While doing this, nerves that may have been restricted or pinched can be freed. This reduces nerve irritability which often leads to inflammation, pain, and muscle spasms. There are many situations in life where our bodies get misaligned. From car accidents, to slip and fall injuries, to just poor posture at work. While chiropractors are realistic and understand they cannot cure diabetes, if your spine's misalignment is causing a nerve to be restricted, they are incredibly confident in their ability to assist you to a full recovery. If any of these listed symptoms or illnesses apply to you and you are seeking relief, contact the medical professionals at Florida Spine and Injury today. Our doctors have years of experience when it comes to assisting patients that are dealing with Nerve Pain. If you live in the greater Florida area would like an absolutely Free Neuropathy Consultation with exceptional Florida Chiropractors, click on the link below to take your first step on the road to recovery now. Are Chiropractic Neck Adjustments Safe?